At Craig T. Matthews & Associates, LPA, we ask the question: If attorneys won’t step up to protect the elderly and the most vulnerable in our society from fraud and financial abuse, who will. Since attorney Craig Matthews began practicing law with a Dayton firm in 1978, he has helped senior citizens protect themselves from being taken advantage of by fraudulent schemers that prey on the vulnerable. 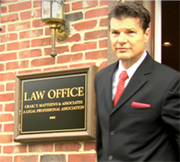 In 1995, Mr. Matthews opened our law firm with a simple philosophy: We protect those who can’t protect themselves. Attorney Craig Matthews has earned the highest AV Preeminent* peer review rating for ethical standards and legal ability. 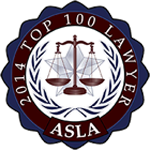 He is recognized as one of the leading legal authorities in the area of forensic accounting and preventing elder abuse. Visit our Verdicts and Settlements and Professional Recognition pages to learn more about his experience and professional credentials. From offices in Dayton, our lawyers litigate on behalf of the elderly and vulnerable adults in communities throughout western, central and southern Ohio, including Cincinnati. Call us or contact us by email to arrange an initial consultation with one of our experienced Dayton elder law litigation representation attorneys today. Over the years, we have recovered millions of dollars in financial theft, punitive damages and attorneys’ fees on behalf of elderly people who have been taken advantage of by unscrupulous family members and fraudulent companies out to take advantage of people. If you or your elderly loved one has been a victim of fraud, call us to schedule a consultation. We have earned a reputation among satisfied clients and legal professionals for our courteous, compassionate approach to working one-on-one with our clients. We will work together as a team to help you identify the nature of the fraud or financial abuse and determine what your best options are for recovering your money or other lost assets. An advocate and problem solver, Mr. Matthews has been active in community affairs: He founded a community improvement corporation; he organized adults and youth to create a community skate park; he served as a founding trustee of a land trust that successfully preserves green space in and around Greene County (Tecumseh Land Trust); he served as president of the Yellow Springs Chamber of Commerce and chair of the Yellow Springs Senior Citizens Center. It is fair to ask whether hiring an attorney will cost more than the financial losses your elderly loved one is suffering. In cases when intentional fraud can be proven, the settlement or jury award will typically include punitive damages as well as cost of legal fees. In all cases, we practice with integrity, including reasonable fees based on fair and responsible billing practices. During your initial consultation, we will explain your options and give you an honest evaluation of whether it makes financial sense to pursue litigation.